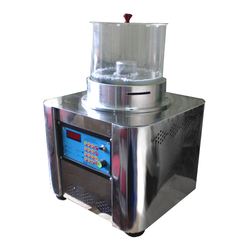 Offering you a complete choice of products which include magnetic polisher machine. Programmable, sturdy, easy to use all these are qualities merged into the finest Magnetic Polisher Machine. Which are used in the machine of the finest grade Programmability gives more flexibility in the production process because all pieces are not of the same surface structure.